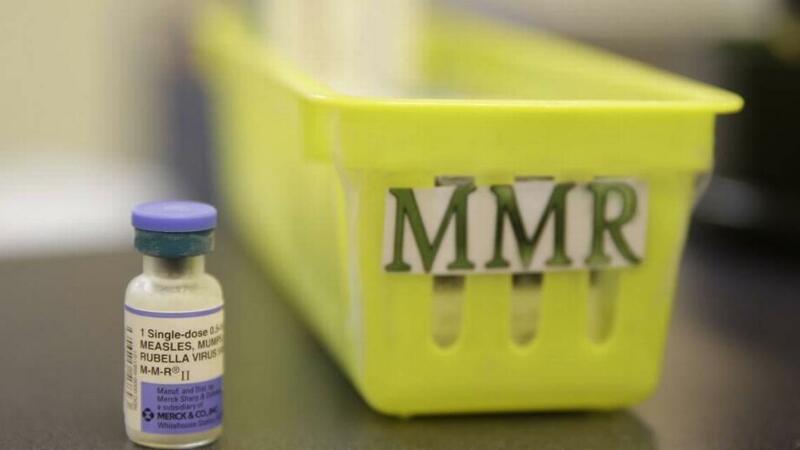 As five U.S. states deal with outbreaks of measles, a case was reported recently in Broward County. While one individual case does not mean an outbreak, South Florida health officials are stressing the importance of vaccinations. And they want to make sure people of all ages here are well-informed about the disease and who might be most at risk. Dr. Alejandro Isava-Quintero, a specialist in pediatric infectious diseases at Broward Health Medical Center's Salah Foundation Children's Hospital, says that in the last few years many people have opted out of immunizing their children or themselves, due largely to misconceptions about the effectiveness or safety of vaccines. "And for that reason, we're seeing these new outbreaks in multiple states," he says. You can listen to the conversation with Dr. Isava-Quintero below. We have also included a list of frequently asked questions about measles compiled by the Centers for Disease Control and Prevention. WLRN Anchor Christine DiMattei talks with Dr. Alejandro Isava-Quintero, specialist in pediatric infectious diseases at Broward Health Medical Center's Salah Foundation Children's Hospital. Frequently Asked Questions about measles, from the Centers for Disease Control and Prevention (CDC). Measles is a very contagious infectious disease caused by a virus. It can cause serious complications, particularly in people who have weakened immune systems. Measles can spread to others through coughing and sneezing. Also, the measles virus can live for up to two hours in airspace where the infected person coughed or sneezed. If other people breathe the contaminated air or touch the infected surface, then touch their eyes, noses, or mouths, they can become infected. The symptoms of measles generally appear about seven to 14 days after a person is infected. Measles typically begins with high fever, a cough, a runny nose and red, watery eyes. Three to five days after symptoms begin, a rash breaks out. It usually begins as flat red spots that appear on the face at the hairline and spread downward to the neck, trunk, arms, legs, and feet. When the rash appears, a person’s fever may spike to more than 104° Fahrenheit. I’m a new parent. How can I protect my child from measles? -- If your baby is 6 through 11 months old, he or she should receive 1 dose of MMR vaccine before leaving. -- If your child is 12 months of age or older, he or she will need 2 doses of MMR vaccine (separated by at least 28 days) before departure. For more information about measles, including details about vaccinations and prevention, please visit the website for the U.S. Centers for Disease Control and Prevention.